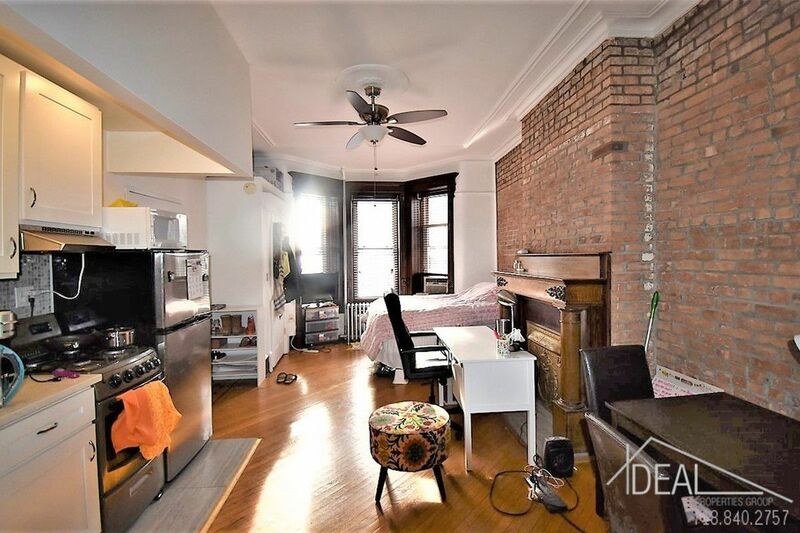 This Sunset Park studio is perfectly suited for renters who are in search of affordability and a roommate-free lifestyle. With loads of space, a solid dose of charm and a competitive price, this unit will rent quickly. 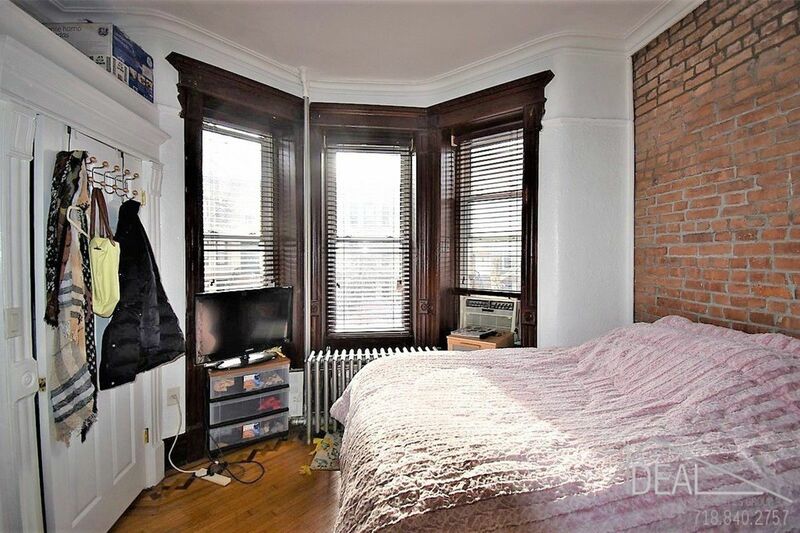 Best feature: The exteriors and interiors of this apartment ooze quintessential Brooklyn charm. 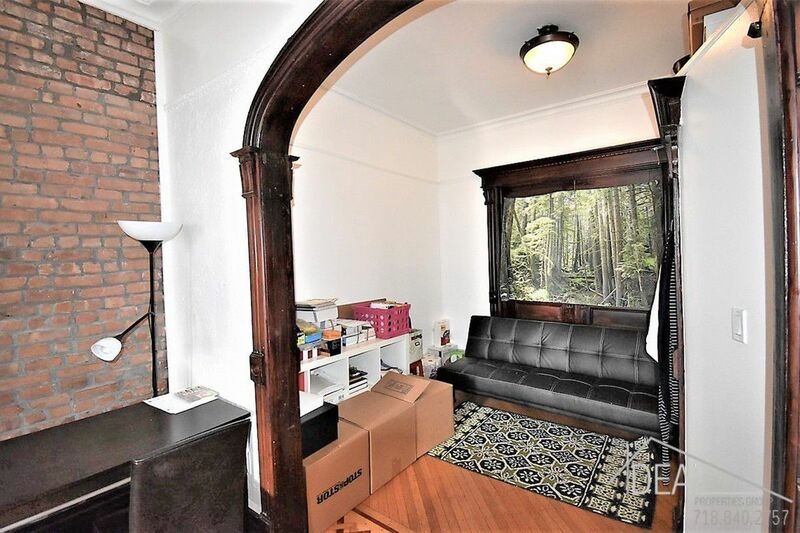 Inside, exposed brick, curved archways, parquet floors and a gorgeous decorative fireplace check the boxes for historic character. The exterior of the apartment is equally charming. The apartment sits on the parlor floor of a nicely maintained townhouse. From the photos on Google Street View, the townhouse is located on a shady, residential block and boasts a wide stoop and a welcoming American flag. In addition to charm, the apartment is convenient. The unit offers a surprising amount of space for a studio with a full galley kitchen and a separate seating area in the rear. There is laundry in the basement and the express N station at 59th Street is just four blocks over. Why it’s a deal: Sunset Park is known for being one of Brooklyn’s more affordable neighborhoods and this studio doesn’t disappoint. At $1,650, it comes in below the neighborhood median asking rent of $1,900. The monthly rent includes utilities and access to the washer and dryer in the basement. It’s important to note that there may be a broker fee for this unit. Contact the agent for more details regarding move in costs. Biggest drawback: Manhattan commuters are in for a long ride. It takes over 45 minutes to get from the 59th Street station in Sunset Park to Midtown, even when taking the express train.